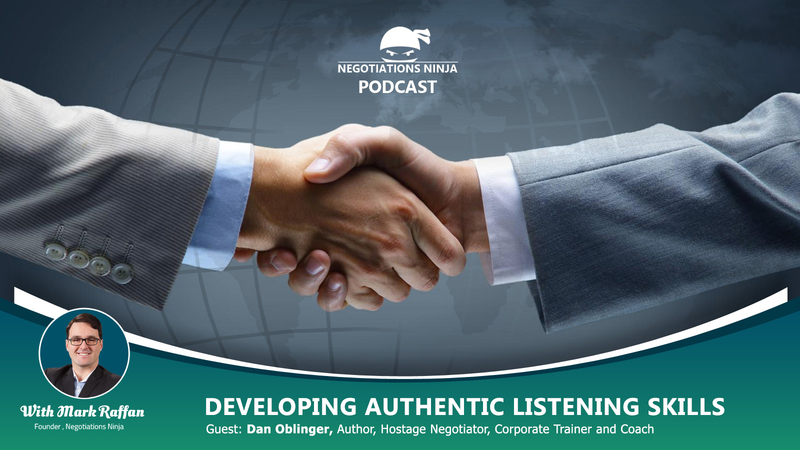 Dan Oblinger, author of Life or Death Listening: A Hostage Negotiator’s How-to-Guide to Mastering the Essential Communication Skill, joins us to talk about authentic listening. In today’s hyper-connected, digital age of chaos, conflict, and confusion, we are more connected than ever to other people. But are we also on the brink of an epidemic of loneliness? Through his eight active listening skills, Dan shares the key to unlocking the potential for lives of trust, consensus, and community! When was the last time you viewed listening as a skill that can be taught, developed and nurtured over time? Why is listening a vanishing art and hard to do effectively when it’s really so simple? As difficult as developing authentic listening skills might seem in a super-connected world, Dan breaks it down to eight simple active listening skills. From asking better questions to inviting people to tell the story of their emotions (good or bad), Dan delivers the toolkit we’re searching for.